Last year we had the best mutual fund series that helped many of my readers to invest in the right funds. So they emailed me to have it in 2018 as well. 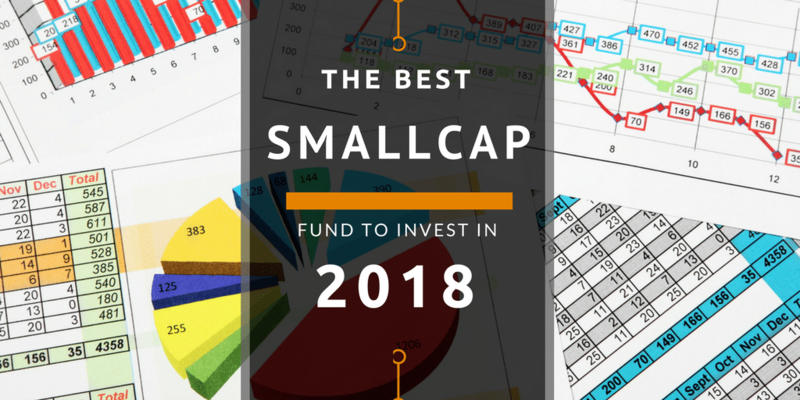 So this is the first post of 2018 and we kick off with the best smallcap fund for 2018. I am a fan of investing in smallcap stocks that can become midcap and large cap. These stocks add the multiplicative factor to the overall portfolio. Though I prefer to invest in stocks, one does the same via the mutual funds to add that multiplicative factor to the overall portfolio with a smallcap fund. The most important factors we will consider for selecting the best smallcap fund will be the consistency of its performance in the smallcap segment. The first step is to head over to ValueResearchOnline and check the best performing smallcap funds with a direct plan and are rated as 5, 4 or 3-star funds. From 2017 we know some smallcap funds are closed-ended funds and so will avoid them. Let us apply the following criteria on each of the above funds to nail down the funds that will be the best small cap funds for our 2018. Benchmark – The most important aspect as always will be the adherence to the benchmark which should be S&P BSE Small Cap or its Nifty equivalent. Asset Under Managment – Lower net asset under management for a smallcap fund is important because once the fund has too much money to manage, they tend to invest in slightly larger companies deteriorating the performance of the fund. This is one of the best smallcap fund on every parameter. Moderate expense ratio, best performing fund in last 1 year, lower net asset under management etc. The worst part is, the fund is currently suspended for new investors. It was the case in 2017 as well. As of now, one can’t invest in this fund but one should keep an eye on it if it opens up for investment in 2018. 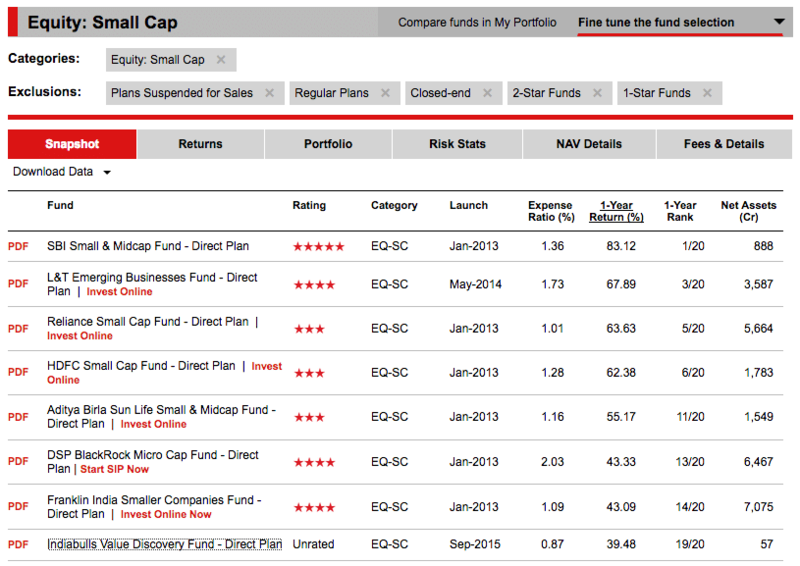 The second best smallcap fund has to be HDFC Small cap fund. It has a moderate expense ratio, best performing fund in last 1 year, and considerably lower net asset under management and is benchmarked against Nifty Free Float Smallcap 100. If I have to select one more fund among the best smallcap fund, it has to be L&T Emerging Businesses Fund and not Aditya Birla Sun Life Small & Midcap Fund because it isn’t a small cap fund and is benchmarked against Midcap 100 index. L&T Emerging Business Fund is the top-rated fund in the Small and Midcap segment of CRISIL‘s list. And it was among the best smallcap fund in 2017 as well. 2017 was a great year for small caps. The complete 2017 had no correction of 10% or more and this is a record in itself. S&P Smallcap Index returns are at 57%+. So it will be tough for the funds to beat such high flying benchmark index. DSP BlackRock Micro Cap Fund – The fund couldn’t beat the S&P Small Cap Index in 2017 but still gave staggering returns of over 40% in 2017. Franklin India Smaller Companies Fund – The story of Franklin India Smaller Companies Fund is similar as well which had a return of 43% as compared to 57% by the benchmark. L&T Emerging Businesses Fund – The fund managed to beat the benchmark by a 10 percentage points and has given a return of 67% as compared to 57% returns by the benchmark. The irony of 2017 is, funds with an annual return of 40%+ aren’t good enough and weren’t able to beat the benchmark. I am not any mutual fund expert and so the idea is never to select the best small-cap fund by me and others to invest but the emphasis is to have a process and apply your own criteria to nail down to few funds to invest.